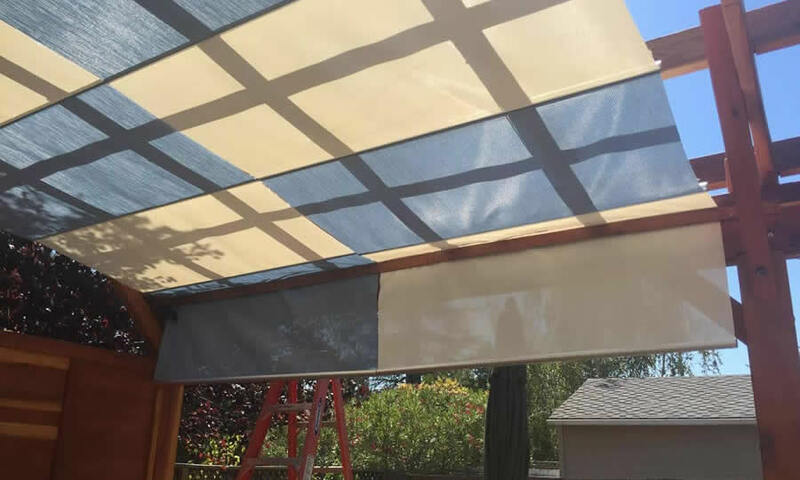 We work with two retractable shade canopy manufacturers to build into our pergolas a custom sized solution that will work for you. Feel free to review their site offerings to see if they have a solution that will work for what you have in mind. If you decide to use one of their products, make sure to let us know at the time of ordering or during the design phase when we are drawing and finalizing all the details with you on your order. 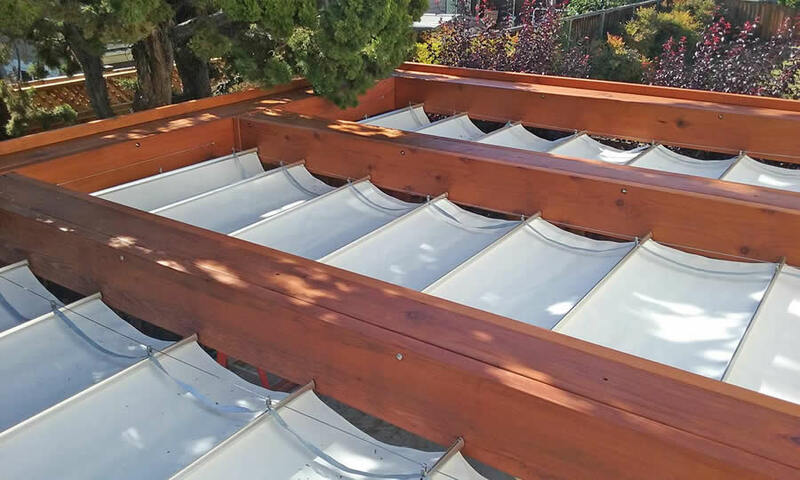 This way, we can communicate with the canopy manufacturer and include their product into our design drawings to make sure your the retractable canopy will fit and attach to our pergola perfectly. 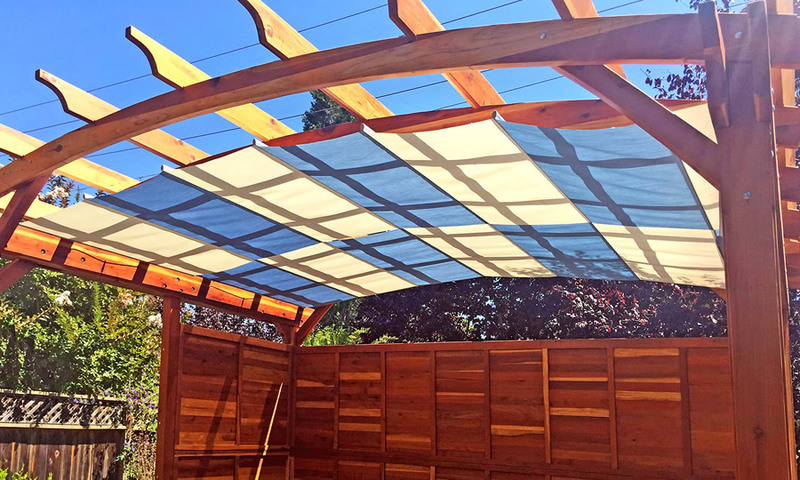 There is usually little or no charge by Forever Redwood to add a retractable canopy. As their customer, you will purchase the canopy directly from either Infinity Canopy or ShadeFX. 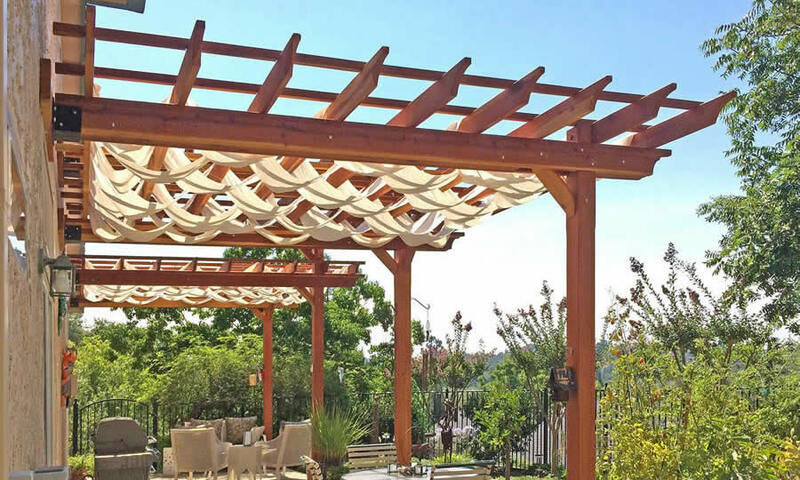 If additional timbers or changes to our Pergola are required to make the canopy work, we will contact you and let you know if a small additional charge by Forever Redwood will be needed to do the work. 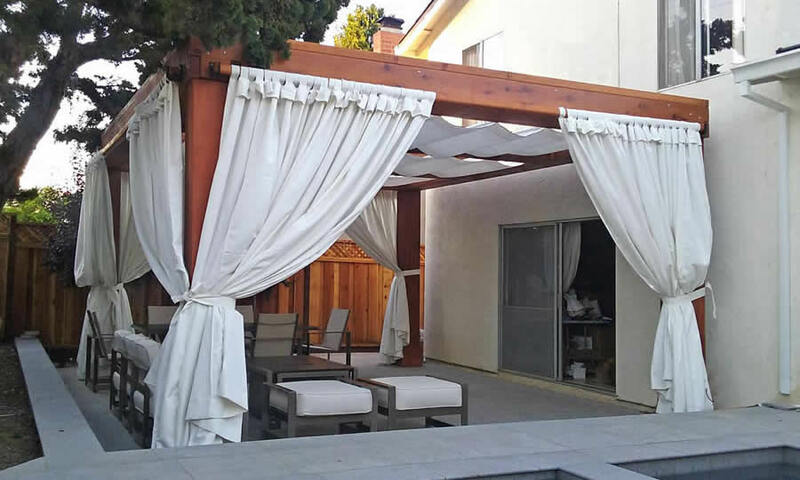 In most cases, what is required is the addition of a small timber or two to hold the retractable canopy and the cost for this rarely exceeds $100.